If you have been a reader of my site for long, you know that I love easy recipes. We generally have salmon once a week. I am a lucky mom with kids who love it. This recipe was inspired after eating at a local restaurant that served a dish with a pesto and honey sauce. Who knew that would be amazing!? I knew this sauce would be amazing over salmon and boy was I right. Wait until you see how simple this is to create. And for the record, it was delish! 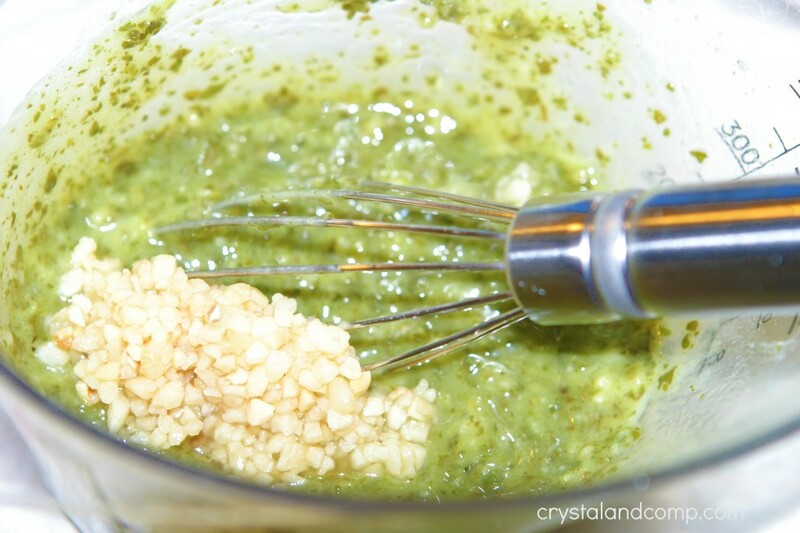 Mix the honey, pesto and garlic together. 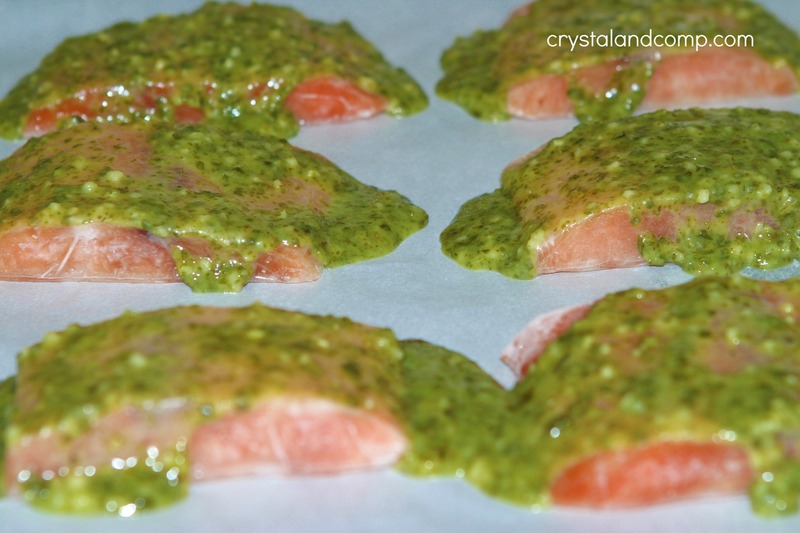 Generously smear the pesto sauce over the salmon fillets. Bake in a 350 degree oven for 20-25 minutes or until it is done all the way through. 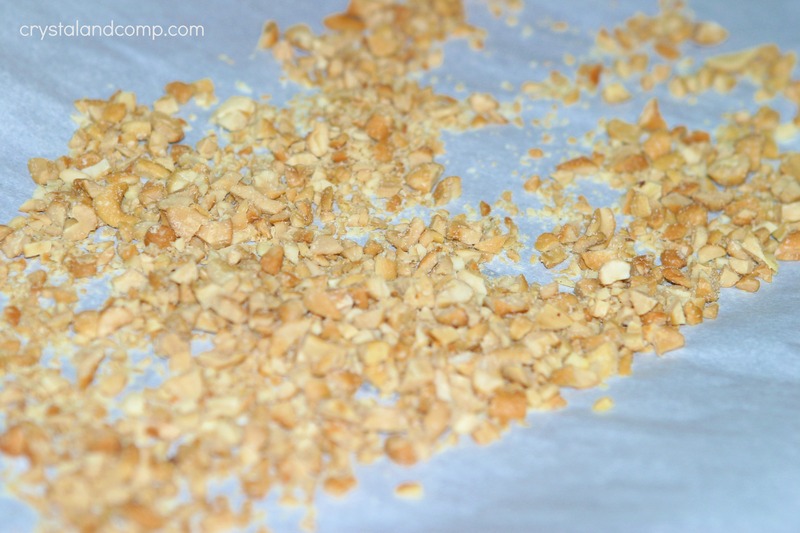 Place your chopped cashews on a second baking sheet and pop them in the oven for about 5 minutes while the salmon is cooking. They will start to smell nutty. Once the salmon is done remove it from the oven. Top the fillets with some sprinklings of the chopped cashews. One can never go wrong with pesto. Love it! Good grief that looks delish! 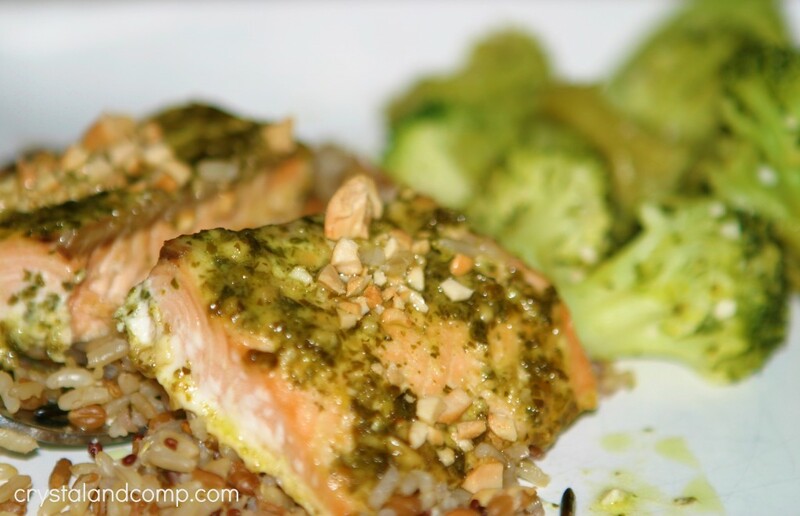 hubby loves salmon and i need a new way to fix it – can’t wait to try this! 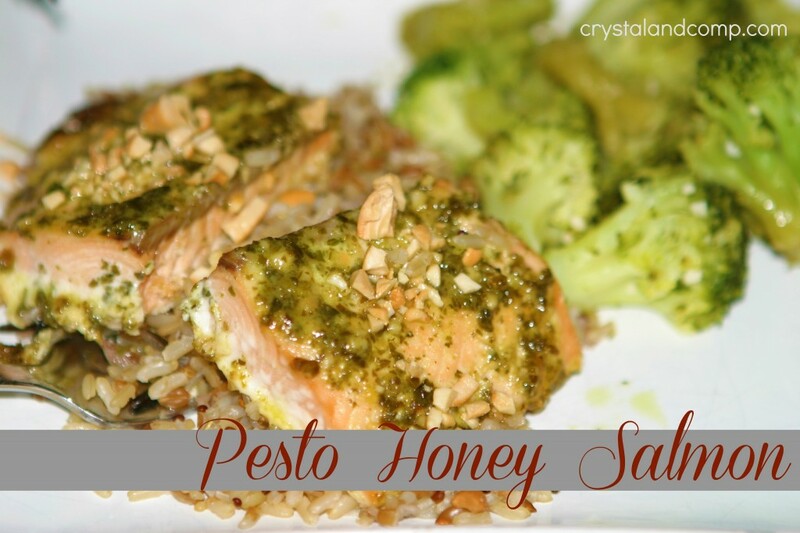 At our house we love all things pesto, and salmon, and honey. If only we lived somewhere where we could get FRESH salmon. That would be my dream! Your recipe looks delicious! Shannon- we get our salmon from Schwans. We have been buying it from them over close to 2 years and have always been happy with it. This looks like a very flavorful Salmon recipe that we will just love. Hope you are having a fabulous weekend and thank you so much for sharing with Full Plate Thursday. Thanks Miz Helen. We really enjoyed it and the flavors came together so beautifully!